Rose hip seed oil strengthens skin leaving it smoother and firmer. Sunflower seed oil is high in omega-6 essential fatty acids (EFA) and provides antioxidants to the skin. Yucca extract is a gentle and calming foaming agent that will not strip or over dry skin. Aloe vera leaf juice is an calming agent best known for its softening and soothing benefits. Water/Aqua/Eau, Glycerin, Caprylic/Capric Triglyceride, Behenyl Alcohol, Sodium Methyl Cocoyl Taurate, Cocamidopropyl Betaine, Aloe Barbadensis Leaf Juice, Disodium Cocoyl Glutamate, Sodium Cocoyl Glutamate, Acrylates/C10-30 Alkyl Acrylate Crosspolymer, Aminomethyl Propanol, Xanthan Gum, Helianthus Annuus (Sunflower) Seed Oil, Tocopherol, Rosa Canina Fruit Oil, Sucrose Stearate, Sucrose Distearate, Lavandula Angustifolia (Lavender) Oil, Yucca Schidigera Leaf/Root/Stem Extract, Phenoxyethanol, Caprylyl Glycol, Ethylhexylglycerin, Hexylene Glycol. PCA is a great product! Thus cleanser is creamy, yet mild and does an outstanding job cleansing. This is the second bottle of the creamy cleanser that I've used. It leaves my face feeling soft and moisturized. I have only been using it a few weeks and am fairly pleased so far. I am not sure if I would repurchase though, since it doesn't appear to be doing anything more than previous cleansers I have used. The cleanser is gentle and removes makeup with ease. The value is better than many of the nicer cleansers available on the website and will likely last quite some time. Great cleanser, non-drying, and your skin feels clean. No breakouts. Non-drying, no acne. Great for sensitive skin. Leaves skins smooth, not irritated and clean. 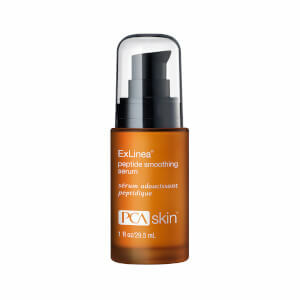 I have very sensitive skin and had used PCA skin products in the past with great results. 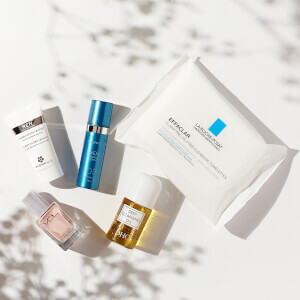 I decided to venture off and try a couple of other brands and unfortunately my skin was NOT happy! I came back to the creamy cleanser and my skin has finally started to calm down! I will never use another cleanser or product line again...Lesson Learned! Am very satisfied with this cleanser. Leaves my skin smooth and fresh. I'm using my second bottle, actually usually use the clear cleanser ordered the cream cleanser by mistake but same company. I actually like the cream cleanser better, pleasant smell seems like more gentle. Does not suds. I would either of PCA cleansers, and have for several years. I have used this cleanser for 3 yrs and will never use anything else. It takes make up off easily and leaves skin feeling moisturized as well. This is my favorite PCA product. I don't think I will ever use anything else.